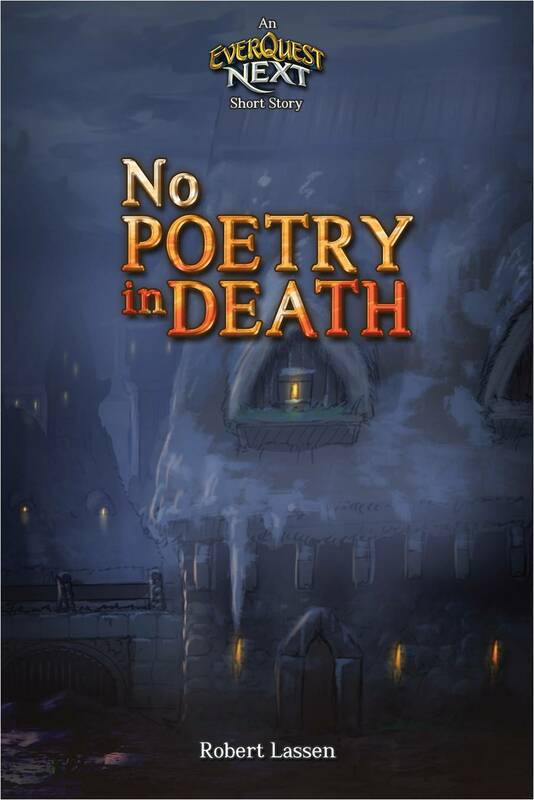 So, it’s been out for a little while now, but No Poetry In Death is probably my favourite of the stories I’ve written for Everquest Next so far – I was pretty happy with the way it turned out. Normally I finish a story, whether it’s a five thousand word short or a novel, and no matter how much editing I do, there’s always the nagging doubts. Could it have been better? Is it ANY good? Is it too late to burn it and pretend nothing ever happened? Part of that is down to the way stories tend to develop a bit of a mind of their own as you write, and end up taking you down some alleyways that may lead to greatness, but more often and not lead to dead ends. With No Poetry In Death, the story came out more or less as I’d originally planned…so while that’s not to say it couldn’t be better, it was enough for me to be able to send it on its way and get started on the next one. More on that soon, but if you haven’t checked this one out, just click on the cover image – and thanks to everyone out there who’s given me an always welcome pat on the back from time to time over my two years of writing for EQN! It’s been a busy few months. That’s about the best excuse I can come up for the ridiculous gap between posts! What have you missed? Well, there was The Arch Mage, Part Two, naturally. And there was The Razor’s Edge. Both of those EQ Next stories can be found through the links on the right – free as always. I did a bit of work on a fantasy project that didn’t quite work out, but took a bit more time than I’d expected – wasted time, as it turned out, but all good practice (so they tell me). And I’ve begun working in earnest on the sequel to Wrathful Skies. Over the next few months my schedule is going to allow me a bit more flexibility and writing time than usual, and I’m hoping that will translate to a blast of creative production…though with another EQN story on the way and more in the pipeline, new material is guaranteed no matter how “busy” I get with other stuff! 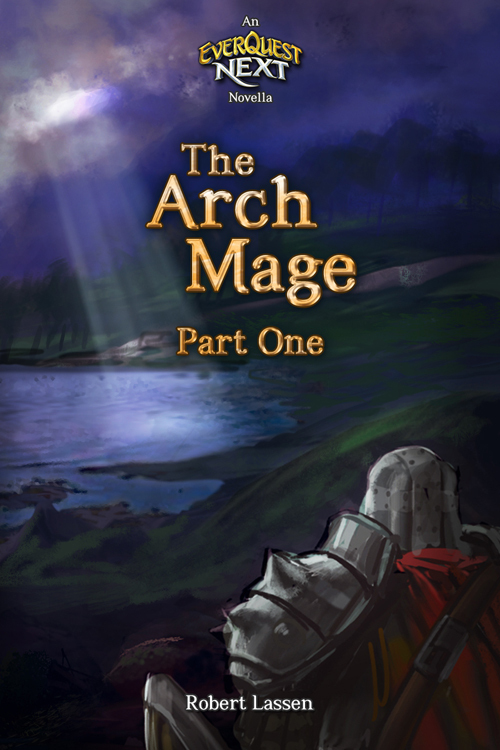 The Arch Mage: Part One – New EverQuest Next Story Out Now! This latest story fits in between the events of Mage of the Teir’Dal and Fall of Bastion, so if you’re new to the EverQuest Next universe and want to get things in chronological order, I suggest starting with “Mage”. Better still, go through them all in sequence, but make sure you wait for The Arch Mage: Part Two before you go onto the double-header of The Last Stand of the Teir’Dal and Fall of Bastion! I’m a big fan of Christopher Nolan’s Inception. Although sometimes a little overshadowed by his Batman trilogy, it’s smart, exciting and combines great visuals with an excellent soundtrack and across-the-board good performances. Fun fact – it’s the first Leonardo DiCaprio film I’ve ever watched where I didn’t spend the whole movie aware of a vague urge to hit him on the nose with a rolled-up newspaper. If you haven’t seen it already, I strongly recommend it. For those of you who have seen it, you’ll recall that the ending was rather ambiguous. The spinning top keeps going, the screen fades to black, you hear the sound of the spinning top…doing what? Preparing to tumble, proving that this is indeed reality and Cobb has been reunited with his children? Or continuing ad infinitum, showing that this is just another layer of the dream and that Cobb is trapped forever in the depths of his own psyche? Christopher Nolan himself said that the point of the end is not whether this is or isn’t real – it’s that Cobb no longer cares. He wants to be with his children, and whether that is in the real world or in a dream so vivid that he doesn’t even know he’s dreaming, it doesn’t matter. Nolan also said that, as a father himself, he chose to believe that this was real, because he wanted Cobb to be with his kids. Why do I bring all this up? Because Nolan didn’t know if it was real. As a writer, it’s generally assumed that you know everything there is to know about your characters, and that is largely true. It’s not enough to portray them in the story – you need to know their past, their motivations, their secret thoughts. But what about the plot? It’s one thing to let the reader decide, but as a writer, do you need to know the truth? Sometimes, the very point of the story is the mystery. In The Music of Erich Zann, H.P. Lovecraft writes the story from the perspective of the bystander to weird, otherworldly events – the reader never quite knows what has truly gone on because the protagonist doesn’t know. Did Lovecraft? Does it matter? Which brings me, via a long and circuitous (but hopefully not tortured) route, to Another. Like Putting The Cat Out, this story emerged from my burst of productivity between 1998 and 2001. You can read it here on the website, but I never submitted it for publication anywhere else, although I thought about it. Part of the reason for holding off on submitting it was the fact that I couldn’t answer two fairly basic questions about it. The first is the most obvious one, and the one where the reader can make the decision for themselves. Is Martin Brook being haunted by the ghost of his dead wife, anchored to this reality by her skull (kept on his mantelpiece), or is he the victim of self-created delusions and psychotic impulses which he attempts to rationalise through her spectral presence? Is it all just the voices in his head? 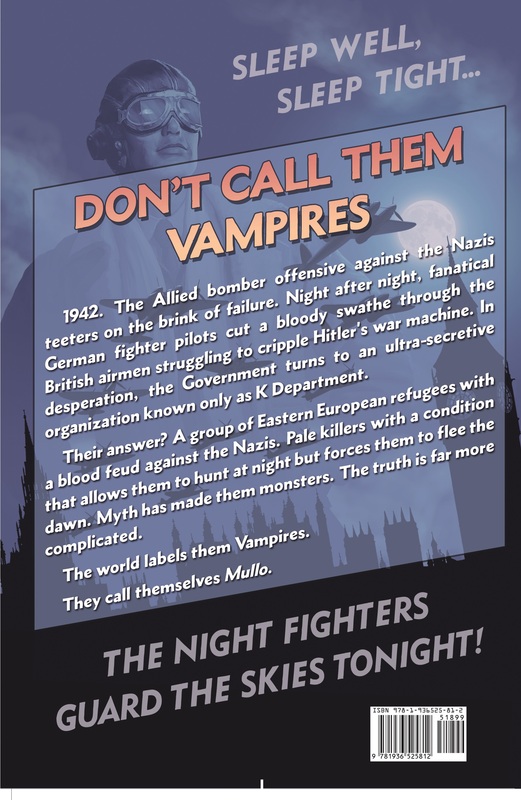 …is it a comedy, albeit a black one? Maybe, after fifteen years, I’m overthinking this. Perhaps after all this time, I’ve forgotten that it was just a short, fun-to-write ghost story and tried to add complexity that isn’t there. Besides, it doesn’t matter for the reader – the point is that Brook thinks it’s real. One final point, for my Everquest Next fans. Ruthless, driven egomaniac hears voices in his head urging him to commit ever greater acts of horror, while his “good” side tries to rein him, ultimately failing. Is Martin Brook the proto-Coralen Larkos? And could Coralen Larkos have avoided his fate in Fall of Bastion if he’d chosen a career in travel writing instead? If I believed in New Year’s resolutions, I’d say my NYR for this year is to be prolific – but as I don’t, I’ll just content myself with saying thanks for coming along on this journey with me, and Happy New Year! 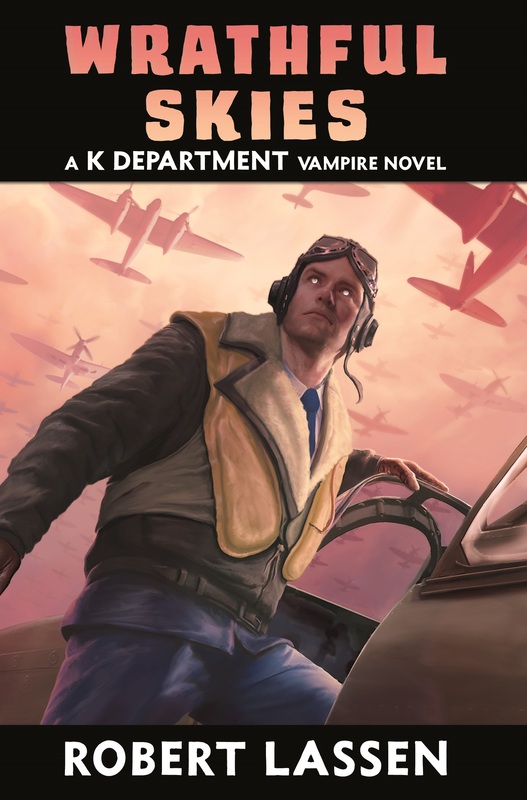 The Long Wait is Over…Wrathful Skies﻿ Released Today! Those of you who follow me on Facebook will know that I am one of a handful of writers working on Everquest Next lore for Sony Online Entertainment. It’s a huge honour, and in an industry where rejection letters (polite or otherwise) can sometimes seem the norm, it’s always wonderful to get that sort of validation of your writing! 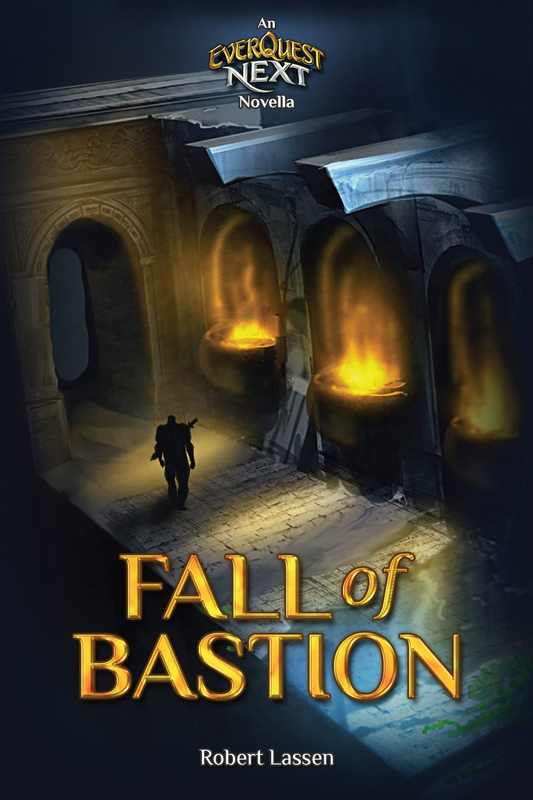 About three months ago, SOE published the first story, The Fall of Bastion, and it got some pretty nice reviews. 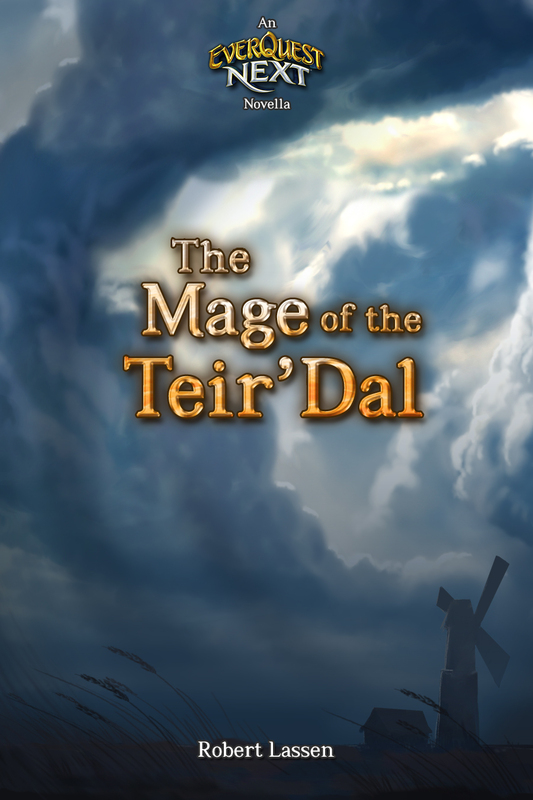 Yesterday they released my prequel, Mage of the Teir`Dal, and hopefully the EQ Next fanbase will appreciate it too! 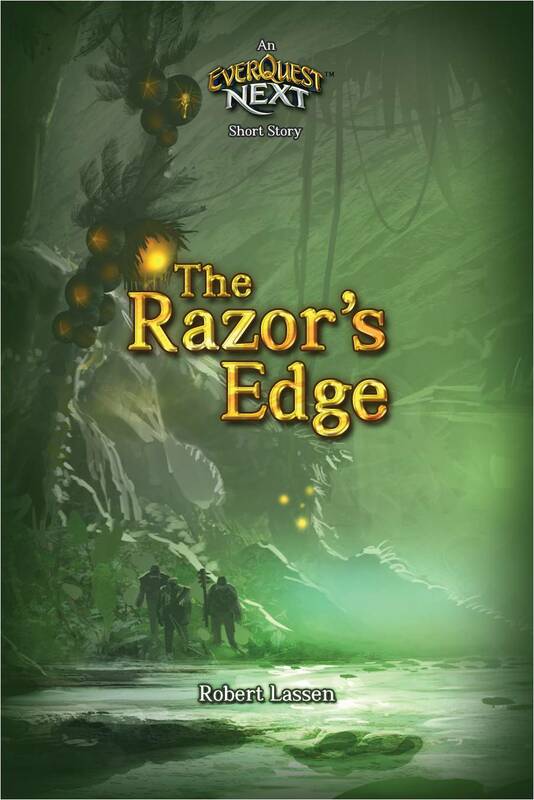 As with all the lore novellas, it’s available for free download as an e-book from their website. Both my stories are roughly 20,000 words, but there’s a few shorter pieces in there too from the near-legendary Maxwell Alexander Drake. Enjoy! Everyone has read a book where the cover promised the Earth, and the story just couldn’t live up to it. What about the flip side, though? What about books that looked truly awful, but turned out to be fantastic? I’m guessing most people have read less of those, because let’s be honest, when you pick up a novel in a bookstore or a library and your first reaction is to vomit blood and pray for death…well, chances are you won’t buy that book, and you will never know if it was a hidden masterpiece or not. 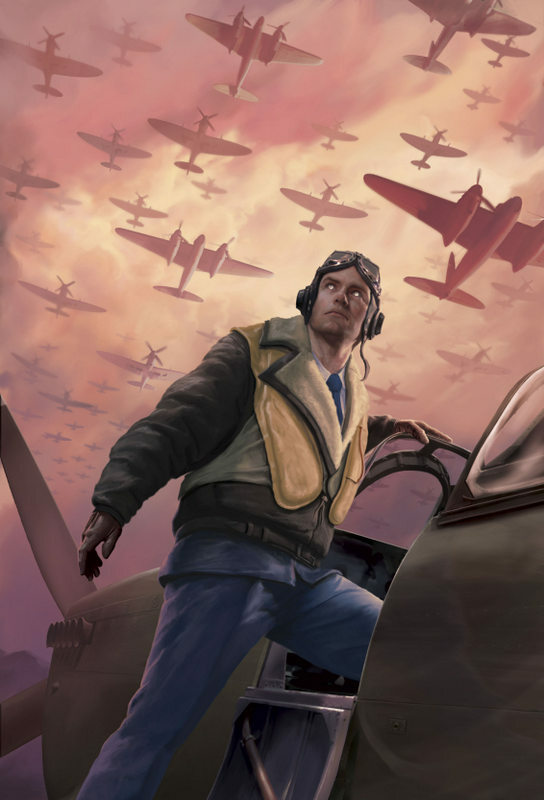 Naturally I hope Wrathful Skies will be hailed as an instant classic, be loved by generations to come, and generally sell enough copies for me to buy the Moon…but if it isn’t, it certainly won’t be because of the cover art. I really can’t overstate how pleased I am with it. The artist? Lars Grant-West, who in addition to being a renowned fantasy artist and all-round top bloke, also did fantastic work on several other books from the stable of writers at III – I recommend a visit to www.larsgrantwest.com to see for yourself. In a few weeks time I’ll be having a drink with Lars at San Diego Comic Con, and I will definitely be buying. There was a time in the seventies and eighties when it seemed all a writer had to do to get into print (or onto celluloid) was to take an animal (shark/alligator/piranha/dog), take a special event of some sort (chemical spill/genetic experimentation/rabies), add a dash of helpless victims, and voila! You had a bestseller. I’m not talking about the classics, like Jaws (one of my favourite films of all time, although at best an average book). I’m not talking about the second stringers with their tongues planted firmly in cheek, like Alligator or Piranha. I’m not even talking about Grizzly, which while loaded with killer animals and helpless victims, at least had the good grace to choose a dangerous animal to do its dirty work. Nope, I’m talking about the works of people like the mighty Guy N. Smith, author of Night of the Crabs, Killer Crabs and the ultimate “does what it says on the tin” title, Crabs on the Rampage. I’m talking about Cliff Twemlow’s The Pike, a novel so wonderfully horrendous that it deserves, and will get, its own blog post. It’s impossible to hate The Pike. You just have to sit back and admire its absurdity, while wondering what the fact that two attempts have been made to film it says about the human condition. One thing all these books and movies have in common, though, is that the creature is actually dangerous. Between them, they proved that with a bit of effort, a decent writer could make virtually any member of the animal kingdom sound like a lethal killing machine. Back in the late nineties I wasn’t at my most prolific. Having written at every opportunity as a kid, I’d had a brief burst of productivity as a teen and pushed out a couple of short stories and a short novel at university. But I was stuck in a rut. There were so many other things I wanted to do with my time – mostly sports and beer, if we’re honest – and so many things I should be doing with my time – like finding a job – that I just wasn’t feeling it. I lacked inspiration. Until I re-read The Pike, chuckled to myself, and then found inspiration surging at me from the frigid grey waters of my lethargy like a 12-foot dreadful spindly killer fish from the depths of Lake Windermere. What if you took a creature so patently unthreatening that you wanted to take it home and cuddle it, then gave it the mind of a stone-cold psycho? Thus was born Putting the Cat Out. In Guy N. Smith’s hands, the cat would have killed a lot of people, ripping out throats, eviscerating stomachs, spreading terror through small rural communities before meeting an ambiguous end that left the door to a sequel firmly ajar. Guy, if you’re reading this, you should absolutely write that book. The rights are all yours for just 10% of your peak fan base. Here’s the problem, though. Cats have tiny claws, and very small teeth. They are completely and utterly useless when it comes to killing people. The question is, do cats know that? If a psychotic cat set out on a killing spree, what would be the result? What would be going through its furry little mind? Check out Putting the Cat Out in the SHORT STORIES section. It’s over fifteen years old now, but it’s still one of my favourites. Remember that long period of not writing much? After finishing PTCO, I went on to write another dozen short stories and a full novel in two years, so let me leave you with two pieces of advice. Always keep writing, even if it’s just some silly story about a killer cat, because you never know when you’re going to trigger a burst of creative enthusiasm. And never, ever, go swimming in Lake Windermere. James Patrick Lynch on Welcome!